Jennifer Lawrence’s Mom Thinks JLaw Acting “Cheap” Dating Chris Martin, Married Man? Jennifer Lawrence’s relationship with Gwyneth Paltrow’s husband, Chris Martin, is a complicated one. One day they’re together, then they are breaking up; the next day J-Law is hooking up with Liam Hemsworth and Chris Martin is spotted with his old girlfriend Alexa Chung – and now the couple is reportedly back together again. Jennifer Lawrence and Chris Martin shocked onlookers when they stepped out together as a couple for a romantic dinner date in Studio City, California on December 30th. However, according to new reports from the January 26th edition of Star Magazine, Jennifer Lawrence and Chris Martin’s reconciliation won’t last – and Jennifer’s mother is determined to make sure of it. Apparently, J-Law’s mom Karen Lawrence is not a fan of Chris Martin and is disgusted that her daughter is out gallivanting with a married man! Karen wants Jennifer to dump the hubby of Gwyneth Paltrow before she does any more damage to her reputation, because she didn’t raise a home-wrecker, nor a side chick. Although Jennifer Lawrence is an adult and completely capable of making her own decisions – we’re going to have to agree with her mama on this one. Chris Martin may be “consciously uncoupled” from Gwyneth Paltrow, but he is still married man…which would make Jennifer Lawrence just a mistress. If he really cared about Jennifer and wanted to be with her – he would have file for divorce by now. Do you think that J-Law’s mom is being too harsh? Or does she have a point? 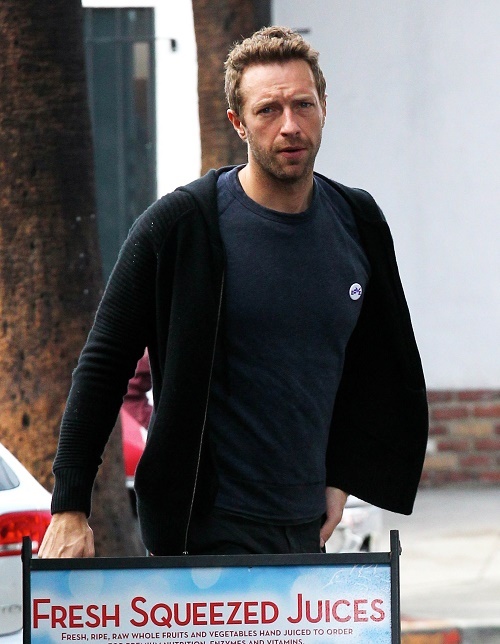 Will Chris Martin ever divorce Gwyneth and make an honest woman out of Jennifer? Let us know what you think in the comments below! Jennifer Lawrence, Chris Martin Break Up: Split Initiated After Chris Realizes He Wants Gwyneth Paltrow Back!